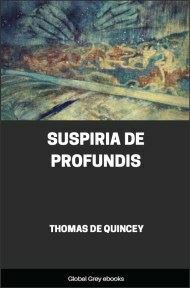 Considered by some to be the 'supreme prose fantasy of English literature', Suspiria de Profundis ('sighs from the depths') is a collection of short essays in psychological fantasy. 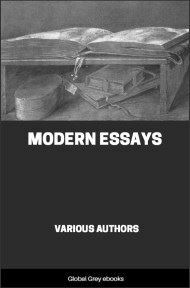 Includes; The Affliction of Childhood; The Palimpsest of the Human Brain; Levana and Our Ladies of Sorrow; The Apparition of The Brocken; and, Savannah-la-Mar. IT is so painful to a lover of open-hearted sincerity that any indirect traits of vanity should even seem to creep into records of profound passion; and yet, on the other hand, it is so impossible, without an unnatural restraint upon the freedom of the narrative, to prevent oblique gleams reaching the reader from such circumstances of luxury or elegance as did really surround my childhood, that on all accounts I think it better to tell him, from the first, with the simplicity of truth, in what order of society my family moved at the time from which this preliminary narrative is dated. 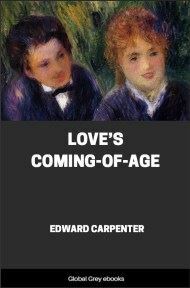 Otherwise it would happen that, merely by moving truly and faithfully through the circumstances of this early experience, I could hardly prevent the reader from receiving an impression as of some higher rank than did really belong to my family. My father was a merchant; not in the sense of Scotland, where it means a man who sells groceries in a cellar, but in the English sense, a sense severely exclusive, namely, he was a man engaged in foreign commerce, and no other; therefore, in wholesale commerce, and no other, which last circumstance it is important to mention, because it brings him within the benefit of Cicero’s condescending distinction as one to be despised, certainly, but not too intensely to be despised even by a Roman senator. He this imperfectly despicable man died at an early age, and very soon after the incidents here recorded, leaving to his family, then consisting of a wife and six children, an unburthened estate producing exactly £1600 a year. Naturally, therefore, at the date of my narrative, if narrative it can be called, he had an income still larger, from the addition of current commercial profits. Now, to any man who is acquainted with commercial life, but, above all, with such life in England, it will readily occur that in an opulent English family of that class, opulent, though not rich in a mercantile estimate,— the domestic economy is likely to be upon a scale of liberality altogether unknown amongst the corresponding orders in foreign nations. Whether as to the establishment of servants, or as to the provision made for the comfort of all its members, such a household not uncommonly eclipses the scale of living even amongst the poorer classes of our nobility, though the most splendid in Europea fact which, since the period of my infancy, I have had many personal opportunities for verifying both in England and in Ireland. From this peculiar anomaly, affecting the domestic economy of merchants, there arises a disturbance upon the general scale of outward signs by which we measure the relations of rank. 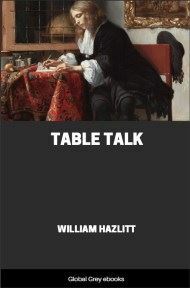 The equation, so to speak, between one order He gives a real merchant (one who is such in the English sense) leave to think himself a shade above small beer of society and another, which usually travels in the natural line of their comparative expenditure, is here interrupted and defeated, so that one rank would be collected from the name of the occupation, and another rank, much higher, from the splendor of the domestic ménage. I warn the reader, therefore (or, rather, my explanation has already warned him), that he is not to infer, from any casual gleam of luxury or elegance, a corresponding elevation of rank. We, the children of the house, stood in fact upon the very happiest tier in the scaffolding of society for all good influences. The prayer of Agar “Give me neither poverty nor riches” was realized for us. 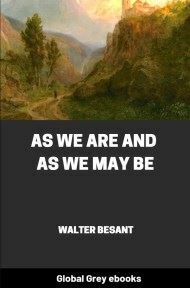 That blessing had we, being neither too high nor too low: high enough we were to see models of good manners; obscure enough to be left in the sweetest of solitudes. Amply furnished with the nobler benefits of wealth, extra means of health, of intellectual culture, and of elegant enjoyment, on the other hand, we knew nothing of its social distinctions. Not depressed by the consciousness of privations too sordid, not tempted into restlessness by the consciousness of privileges too aspiring, we had no motives for shame, we had none for pride. Grateful also to this hour I am; that, amidst luxuries in all things else, we were trained to a Spartan simplicity of diet, that we fared, in fact, very much less sumptuously than the servants. And if (after the model of the Emperor Marcus Aurelius) I should return thanks to Providence for all the separate blessings of my early situation, these four I would single out as chiefly worthy to be commemorated that I lived in the country; that I lived in solitude; that my infant feelings were moulded by the gentlest of sisters, not by horrid pugilistic brothers; finally, that I and they were dutiful children, of a pure, holy, and magnificent church. The earliest incidents in my life which affected me so deeply as to be rememberable at this day were two, and both before I could have completed my second year; namely, a remarkable dream of terrific grandeur about a favorite nurse, which is interesting for a reason to be noticed hereafter; and, secondly, the fact of having connected a profound sense of pathos with the reappearance, very early in the spring, of some crocuses. This I mention as inexplicable, for such annual resurrections of plants and flowers affect us only as memorials, or suggestions of a higher change, and therefore in connection with the idea of death; but of death I could, at that time, have had no experience whatever.